Instead of waiting for 10 years for the future Cross Island Line, homebuyers of The Florence Residences will enjoy immediate accessibility to two existing MRT stations, proximity to next-generation industrial parks at Defu and Lorong Halus, as well as a residential development with a resort-style, club-condo concept. The Florence Residences has everything going for it: Situated right smack within the mature Kovan housing estate, the project is close to not just one, but two, MRT stations – Hougang and Kovan – on the North East Line. Interesting eateries in the Hougang-Kovan neighbourhood include hipster cafes such as Ice Edge Café, Lola’s Café, Hatter Street and Purist Patisserie. For those who want more international cuisine, there are German bistro Knuckles Bar & Bistro, Ding Tele Shanghainese Restaurant, Yaowarat Thai Kway Chap, Hansik Korean restaurant and Tachinomiya Japanese Bar, which serves Japanese beer and sake as well as Japanese street food. Local restaurants include Ivins Nyonya Specialties, Tian Wai Tian Fish Head Steam Boat and 888 Mookata, founded by local celebrities Chew Chor Meng and Zhou Chongqing in partnership with cousins Esmond and Ronnie. Famous hawker fare in the area are the likes of Ponggol Nasi Lemak, Ponggol Noodles, Heng Long Teochew Porridge, Sin Chie Toke Huan Hainanese Curry Rice and Bee Kee Wanton Noodle. Food centres that draw residents from near and far include the Kovan 209 Food Centre, Teck Chye Food Street, Hougang Hainanese Village Centre and Chomp Chomp Food Centre in Serangoon Gardens. Malls in the area include Heartland Mall, which is linked to the Kovan MRT Station, Hougang Mall located along Hougang Avenue 10 and the adjacent Kang Kar Mall. 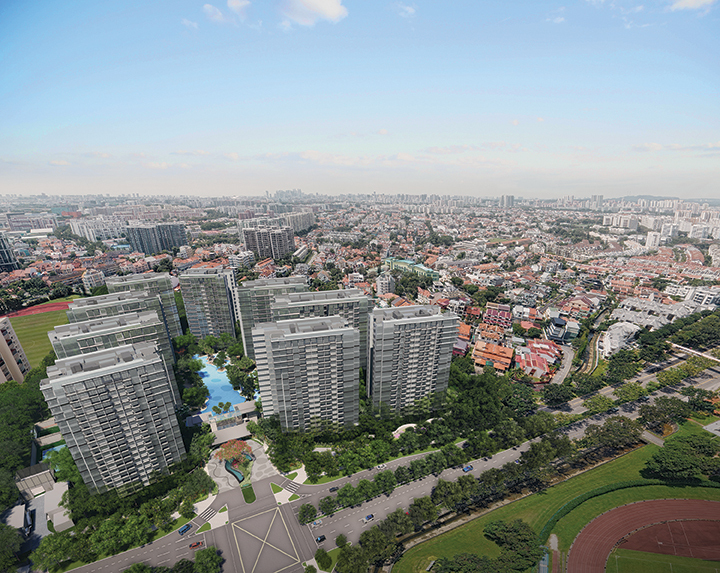 The Florence Residences is just one MRT stop from Nex, one of the biggest suburban malls and all-in-one entertainment-lifestyle destinations in Singapore. It has two food courts, a 24-hour hypermarket and supermarket, a 24-hour fitness gym, Shaw Theatres cineplex and more than 300 shops. Nex is also integrated with a rooftop sky garden, dog park and playground, the Serangoon Public Library as well as Serangoon MRT and bus interchange stations.